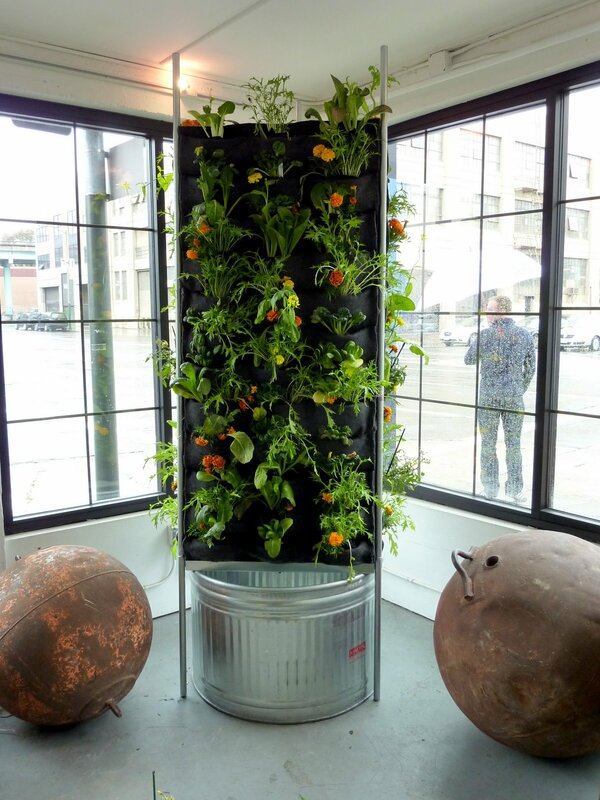 PlantsOnWalls erected the Aquaponic Vertical Vegetable Garden at James Snidle Gallery. Water is recirculated through the panels from the tank below. Goldfish create the fertilizer needed by the vegetable garden. 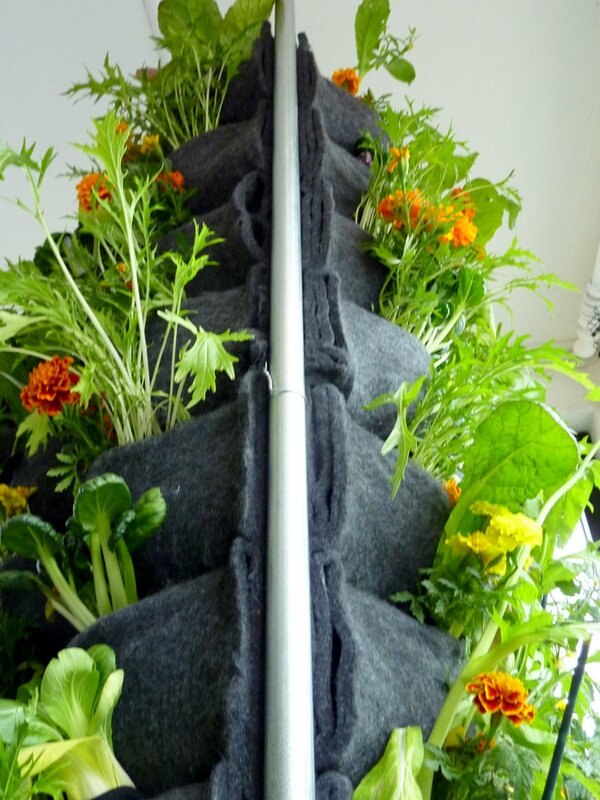 The balanced system produces oxygen as well as organic herbs and vegetables. 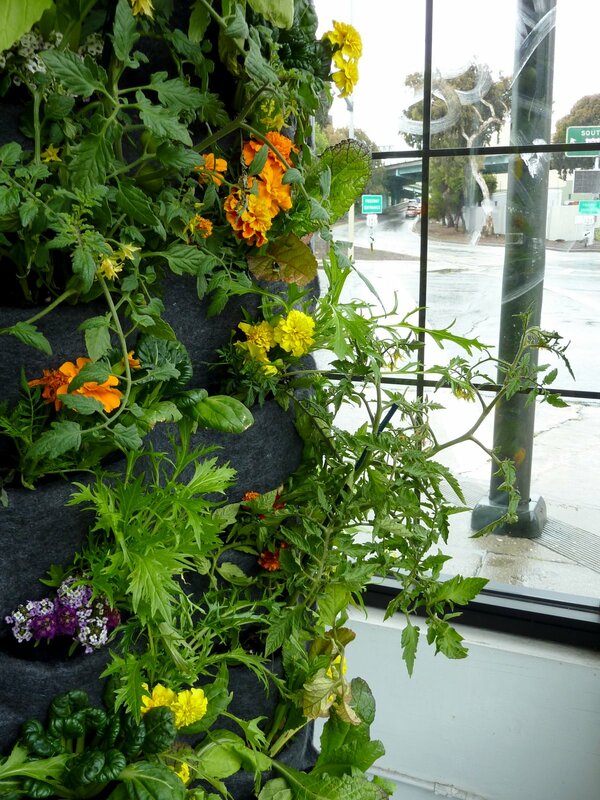 The tower is made from 9 - PlantsOnWalls Full 12-Pocket Vertical Garden Panels that were threaded together with picture wire to form a triangle. The panels were attached to galvanized pipe and placed over a 36" Stock Tank. A fountain pump recirculates the water through the felt panels. The water wicks into the roots of the plants. Drip trays at the base of the panels direct water back into the storage tank. 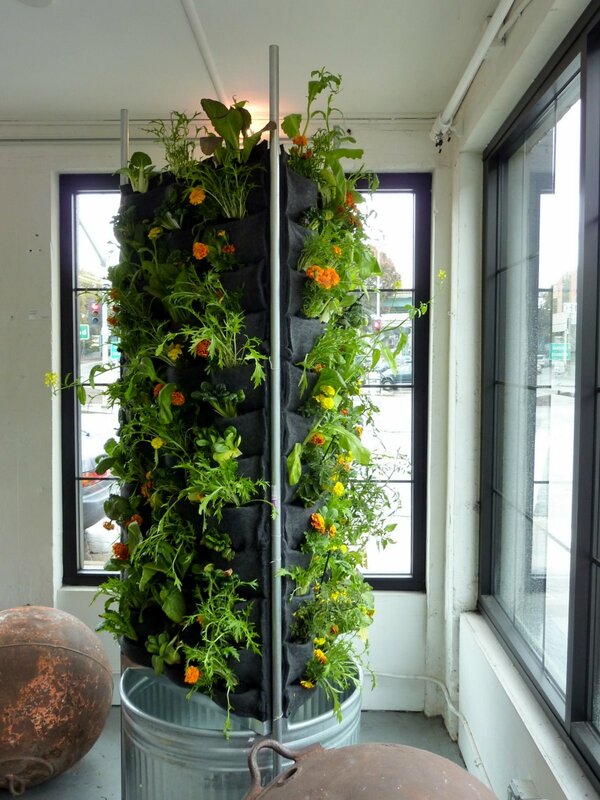 The Aquaponic Vertical Vegetable Garden is viewable from the street corner of 10th and Bryant, across from Costco, in SOMA San Francisco. Watch it's progress as we plant seeds and experiment with various types of garden plants throughout the summer.